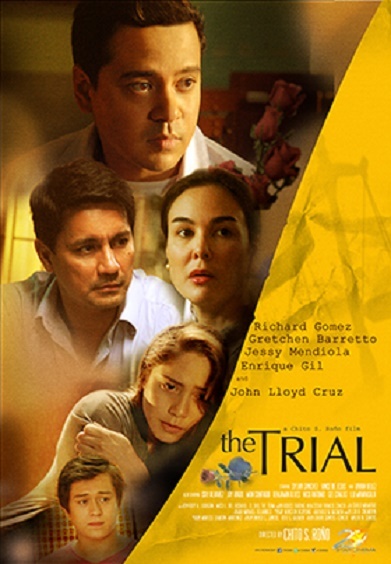 Star Cinema, in celebration of its 20th year, released the trailer for its upcoming movie, “The Trial”. “The Trial” is the first team-up film of John Lloyd Cruz and Jessy Mendiola. The trailer, which was uploaded on YouTube last September 22, has generated more than a hundred thousand views. The movie will be led by box-office actor, John Lloyd Cruz and is also composed of a powerhouse cast including Richard Gomez, Gretchen Barretto, Jessy Mendiola and Enrique Gil. In the two-minute movie trailer, John Lloyd portrays the role of Ronald. Ronald is a differently-abled elementary student who harbors a crush for Jessy Mendiola’s character, a teacher named Bessy. In the trailer, Ronald proposes to Ma’am Bessy in what appears like an empty storage room. Ma’am Bessy acknowledges the confession and touches Ronald lovingly. The scene is then cut to show a hand, in the window, recording the moment. Based on the trailer, Ronald was seen attending the trial after which he was accused of r**e against Ma’am Bessy. Veteran actor Richard Gomez plays the trial lawyer in the film. Gretchen Barretto plays a doctor married to Richard Gomez’s character. In an interview with ABS-CBN News’s Mario Dumaual, Gomez commended “The Trial” director and the script for being “well-written”. He also praised John Lloyd Cruz for his portrayal as his client in the film. “The Trial” will hit the theaters on October 15.